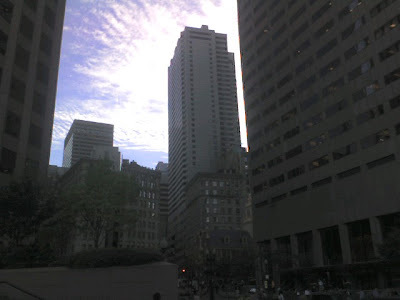 I am in Boston on business and wanted to post some photos. This is just a cool photo of the sun on some clouds behind a skyscraper. 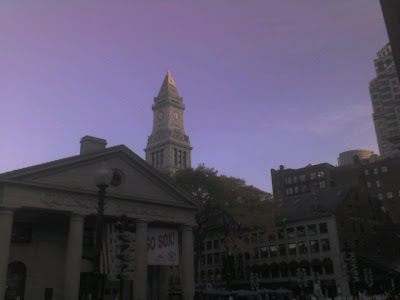 Quincy Market has been in operation since the early 1800's. It is in the foreground. 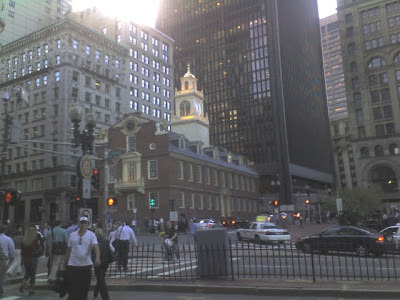 In the back is the Customs House, now a Marriott property. 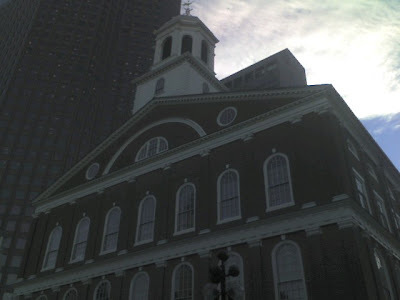 This is historic Fanueil Hall. 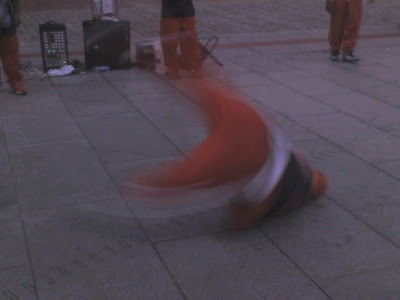 Some breakdancers doing an improptu show near Fanueil. I love this city. The mixture of history and modernity is fantastic. Did you know Stephen and Kaddiz moved to Hollis, NH a few weeks ago? They are about 30 minutes away from Boston!